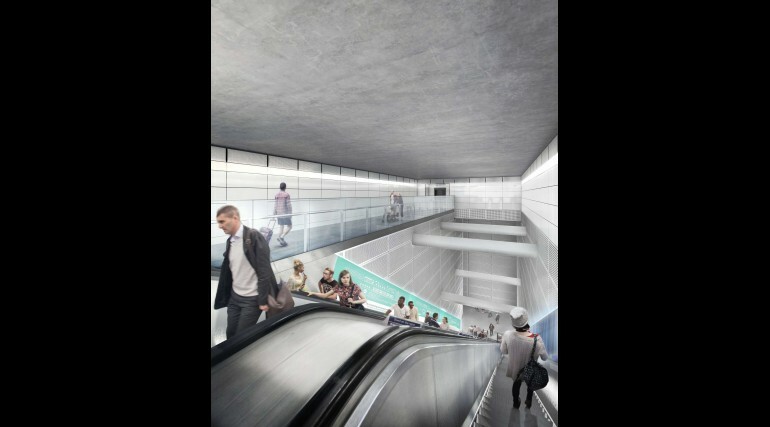 Tottenham Court Road station - Crossrail . For information about the Elizabeth line please visit the Transport for London website. 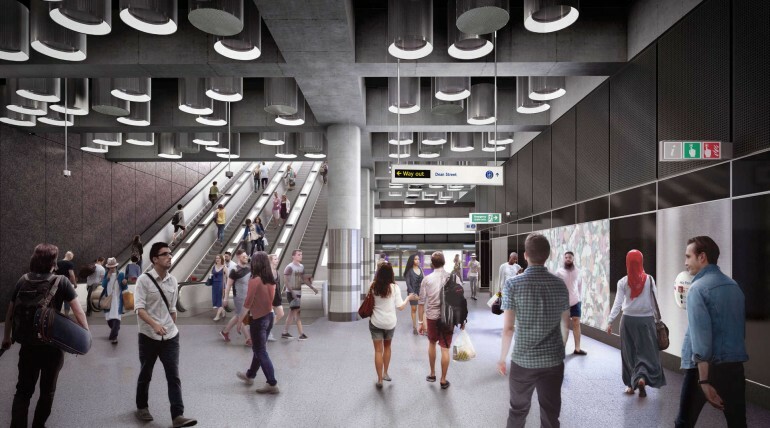 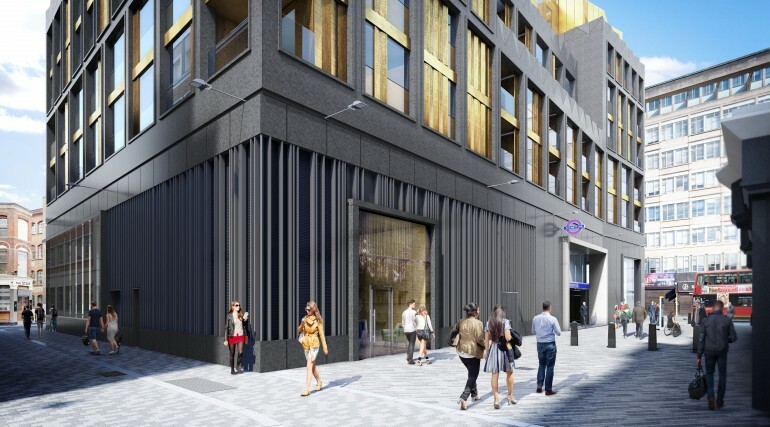 When complete, Tottenham Court Road will be one of London’s busiest stations, offering an interchange between the Northern, Central and Elizabeth line services with more than 170,000 passengers passing through the station every day. 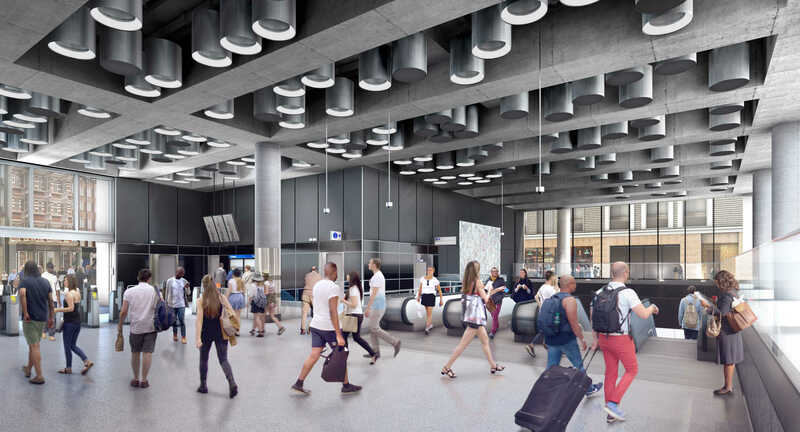 The new station at Tottenham Court Road will stretch from a new plaza in front of Centrepoint westwards to Dean Street, running directly below Soho Square. 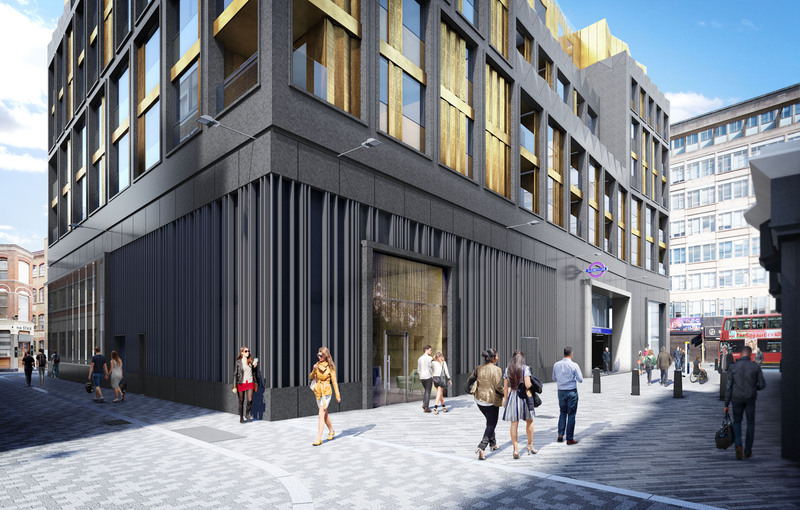 Above ground, a protected conservation area, heritage listed buildings, bustling retail, businesses and a new theatre frame the local station context. 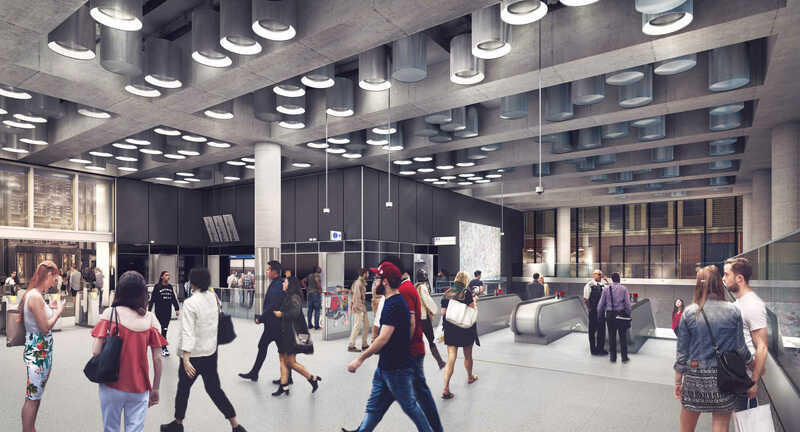 The western ticket hall in Soho is dark and cinematic, reflecting the nocturnal economies that characterise the area. 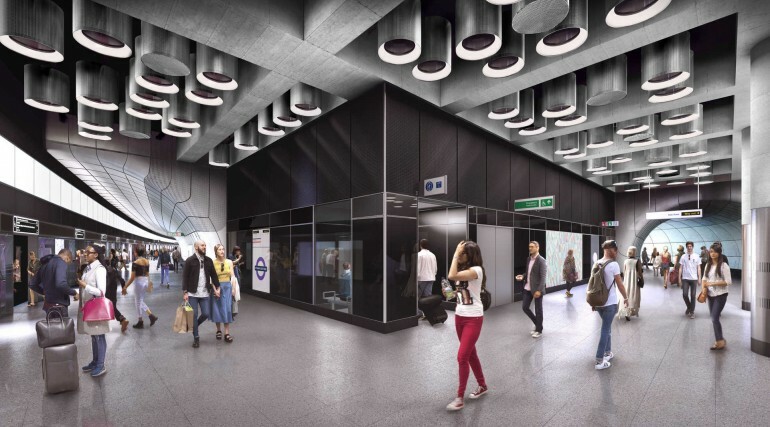 At this site, black is the colour of choice for the glass and stainless steel inside the station. 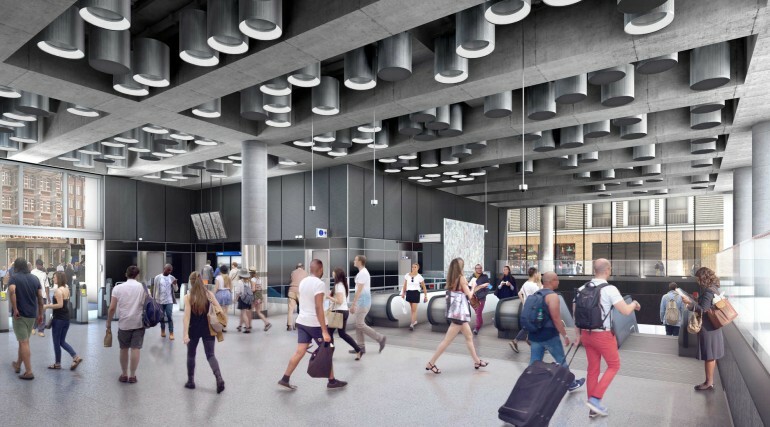 In contrast, white glass and stainless steel dominate at the Elizabeth line eastern ticket hall - bright and well lit to reflect the 1960s iconography of the nearby Centre Point. 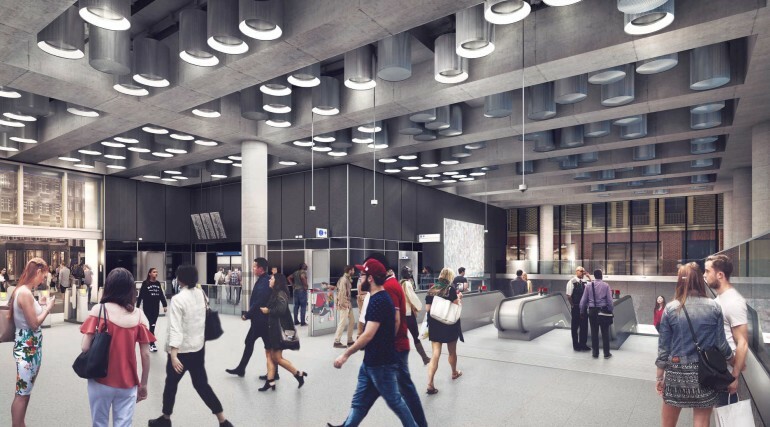 Glazed elevations to the ticket halls together with the station lighting strategy create a glow, helping to reinforce their presence at night and provide a connection to natural light during the day. 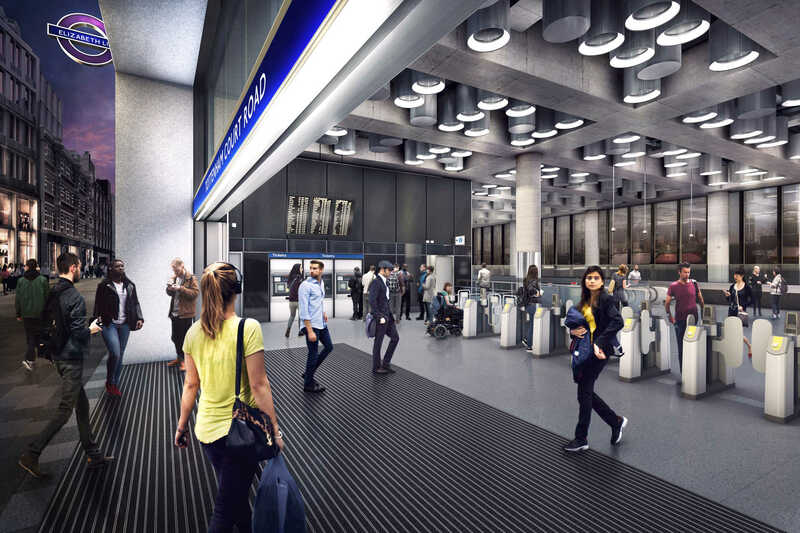 The Elizabeth line eastern ticket hall will provide an interchange with the Northern and Central lines. 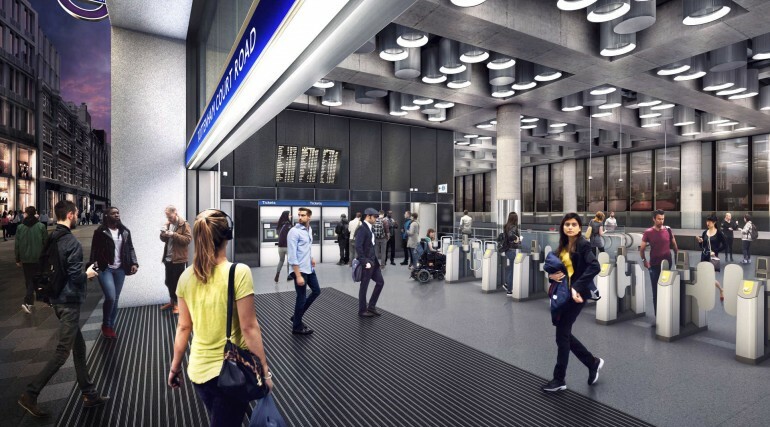 An integrated ticket hall, which will be six times the original size, is part of Transport for London’s major upgrade and includes a new public plaza and station entrances outside Centre Point. 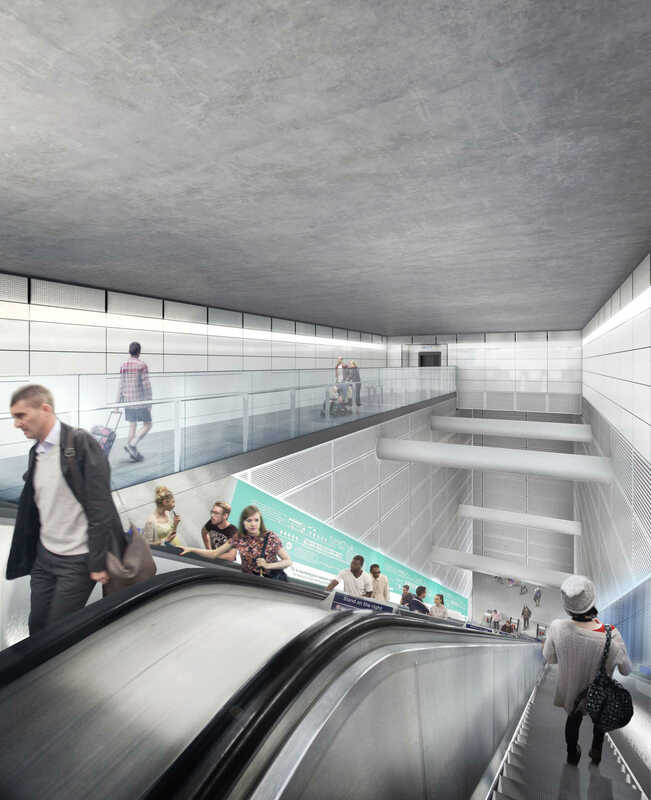 Turner Prize winning artists feature inside the station. 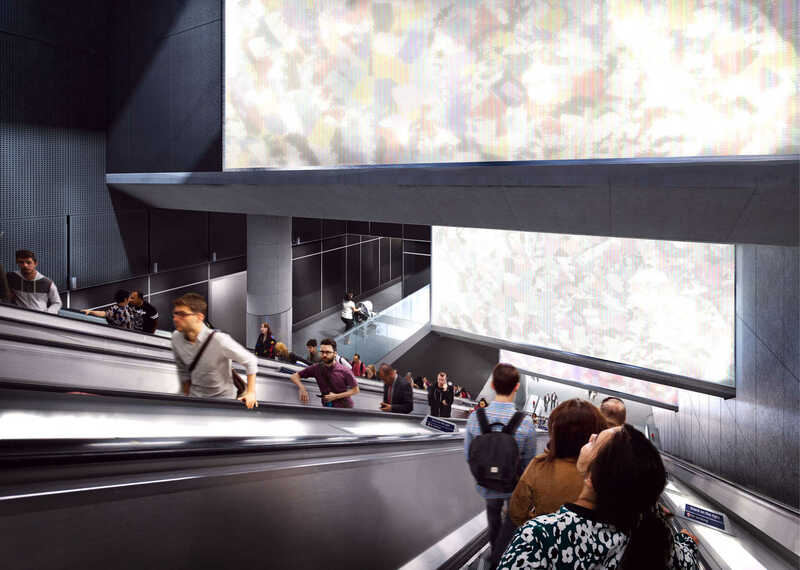 An applied gold-leaf artwork by Richard Wright will form the ceiling of one of the eastern escalator boxes. 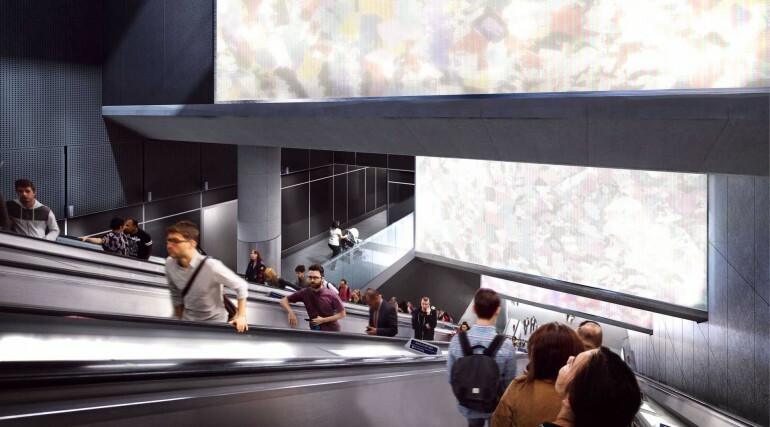 At the western end, a digital screen will display a digital artwork by Douglas Gordon which will be visible whilst descending the escalators, and from the outside of the station. 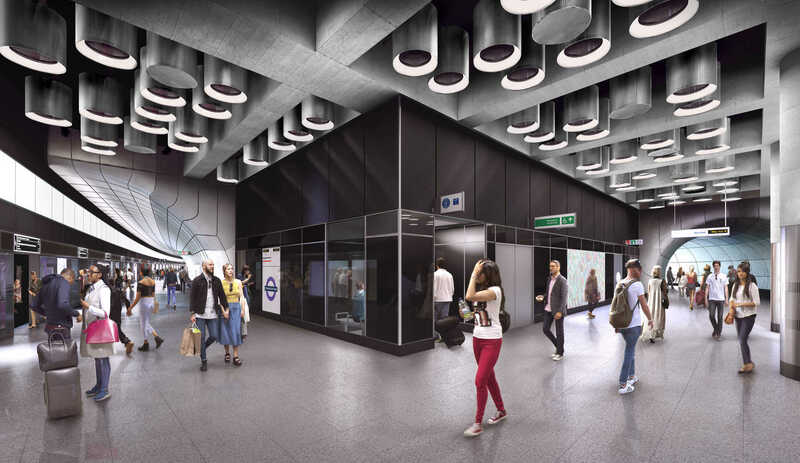 In addition to the station improvements, Crossrail worked with Westminster Council on proposals for improvements to the area around the station. 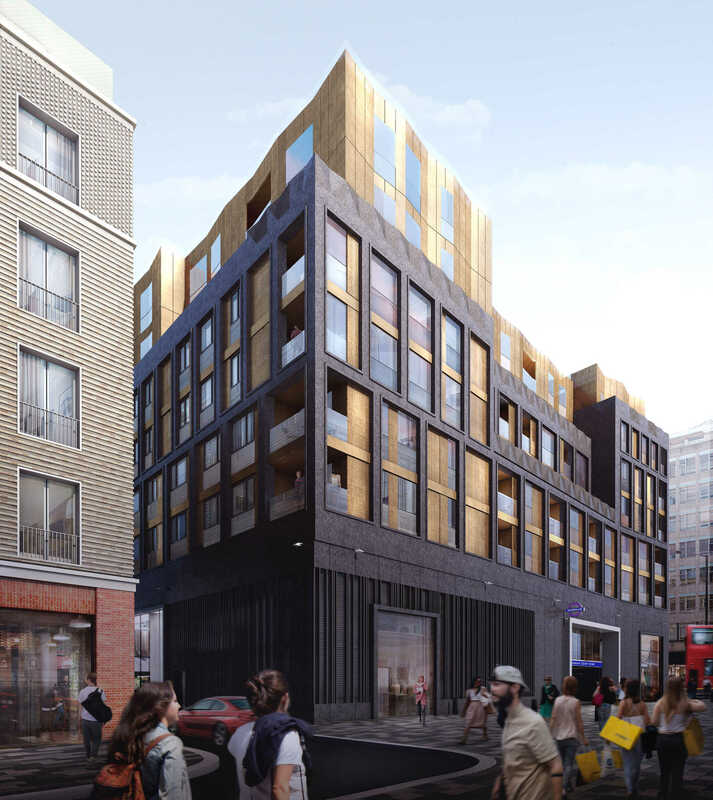 Tottenham Court Road, Dean Streat: Two developments will provide 92 new apartments and retail space. 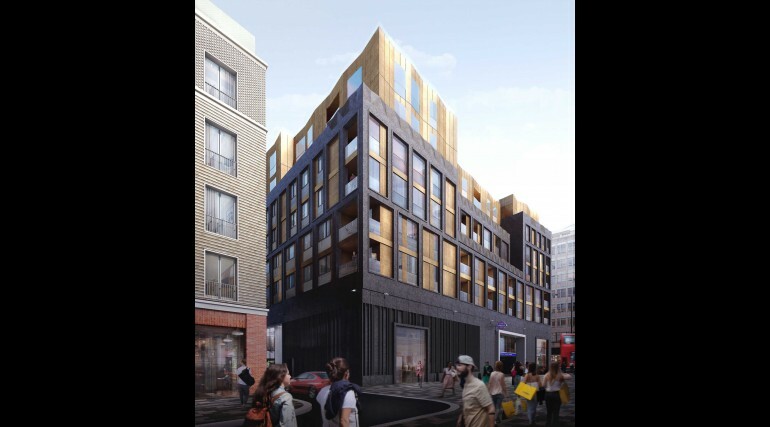 Building materials and architectural patterns celebrate local architecture, including the Bath House pub which once stood at the site.